Cruise ships and wildlife buses? 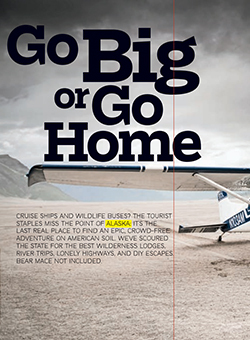 The tourist staples miss the point of Alaska: It’s the last real place to find an epic, crowd-free adventure on American soil. We’ve scoured the state for the best wilderness lodges, river trips, lonely highways, and DIY escapes. Bear mace not included.